The warm, 80-degree waters of Micronesia contain an astounding 2,100 islands. 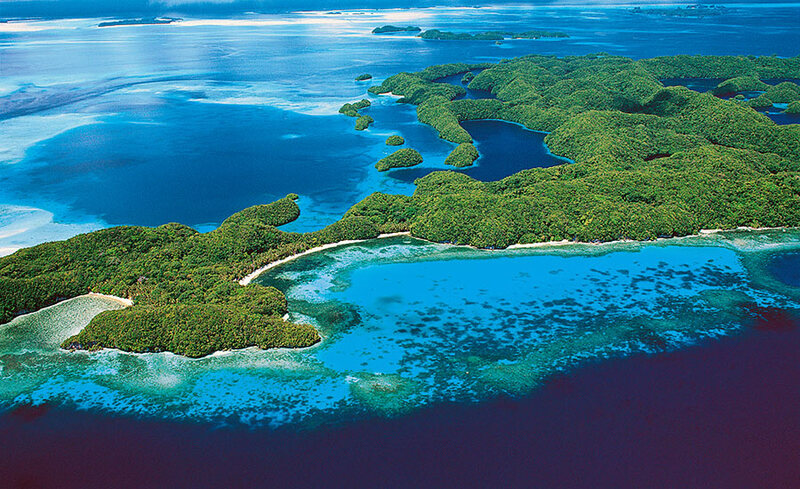 Palau, the westernmost section of the Micronesian islands, runs north to south, covering approximately 125 miles. 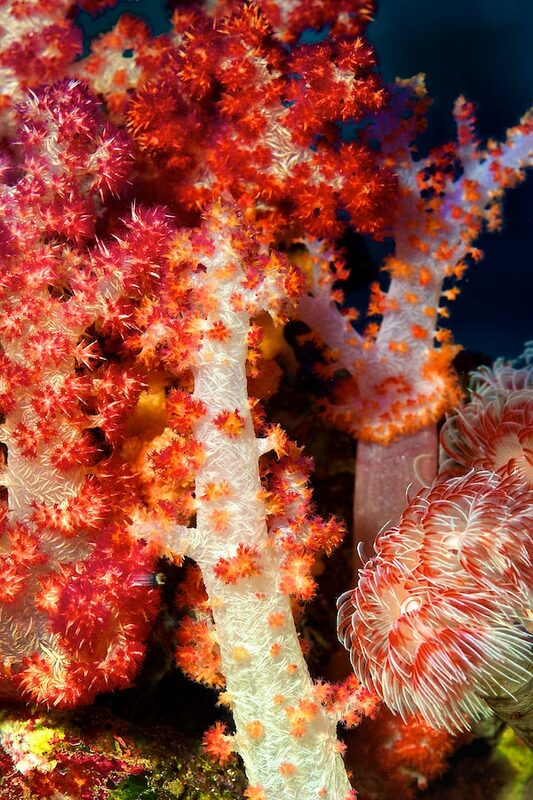 Considered by many to be among the most beautiful in the world, Palau’s waters contain an incredible diversity of coral, fish, and other colorful marine life. 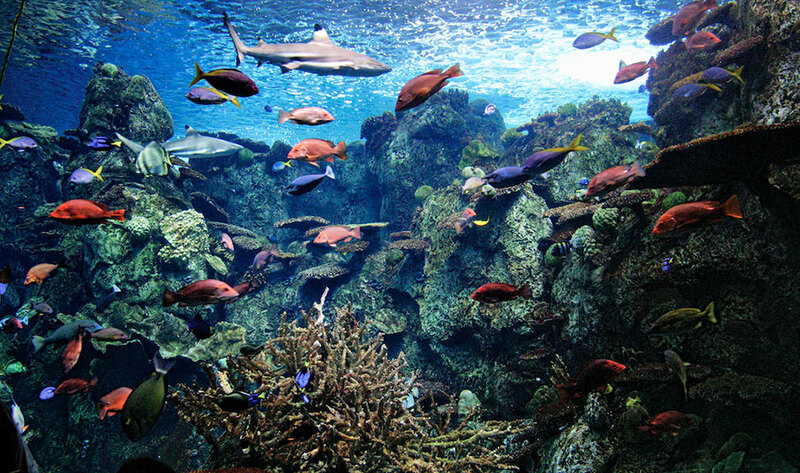 The 16 exhibits in the Aquarium’s Tropical Pacific Gallery represent the beautiful marine life you would find off the coast of Palau. 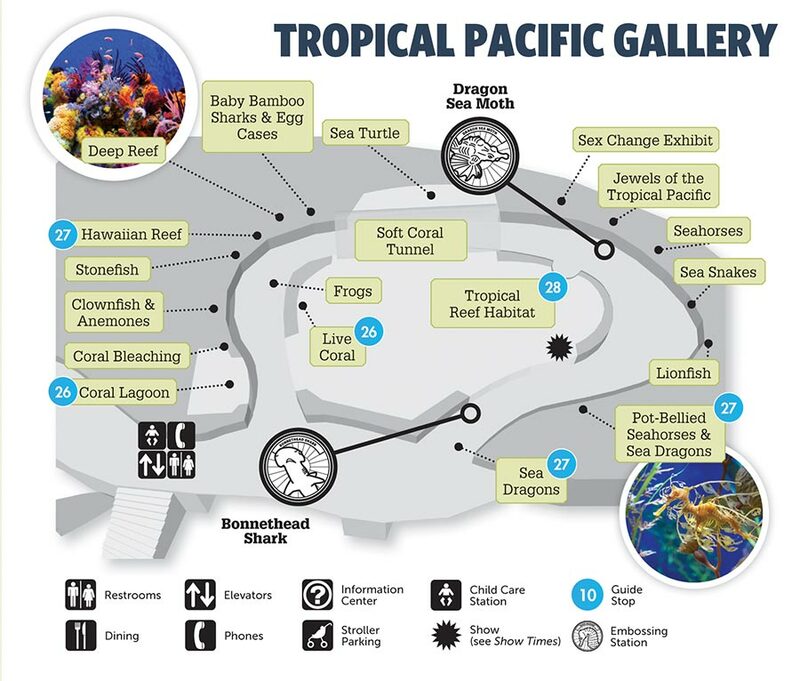 The Tropical Pacific Gallery also features our seahorses and sea dragons. True to their descriptive names, both the leafy and weedy sea dragons have an almost surreal appearance characterized by unusual appendages that allow them to deftly camouflage themselves in seaweed. 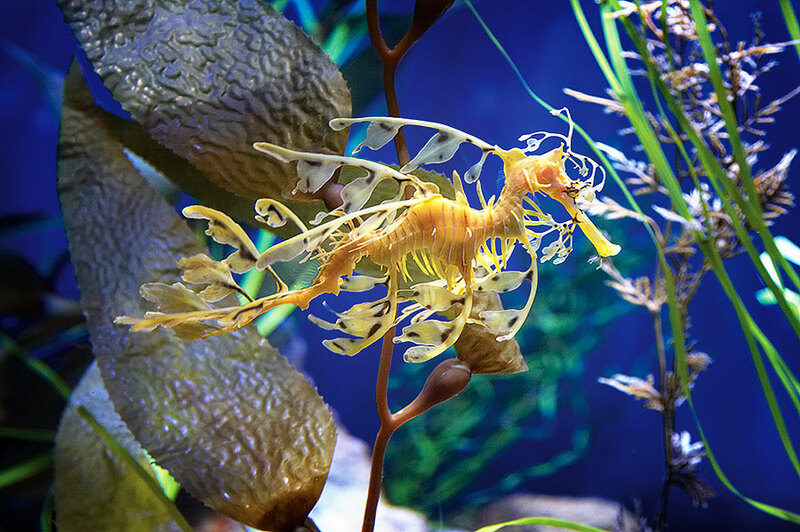 The Aquarium made husbandry history by being the first Aquarium in the world to successfully breed weedy sea dragon babies. 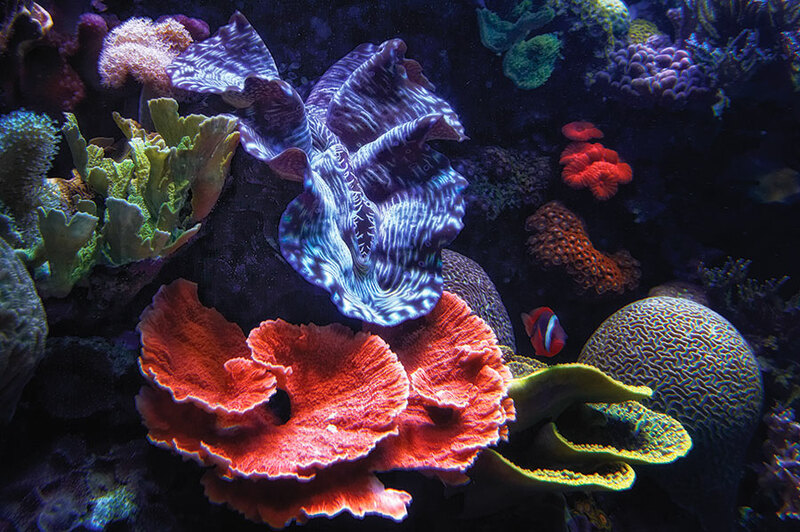 The Tropical Pacific Gallery also displays venomous creatures, groupers, clownfish, and the only exhibit with live coral in the Aquarium. There is much to discover in this colorful paradise, such as daily dive and feeding presentations and opportunities to learn about the many species of fish that are able to change genders and others with remarkable camouflage and defense capabilities. Seahorses and seadragons, as well as pipefish and ribbonfish, are all in the family Syngnathidae, which contains more than 200 species.